Having more than 1.500 square meters of modern and interactive exposition It represents main learning center and exhibition on Etna. It addresses on natural, historical end ethno-anthropological aspects of volcano. The exhibition presents environments and exhibits dedicated to Etna with insights on nature trails, local products and ancient and recent history. 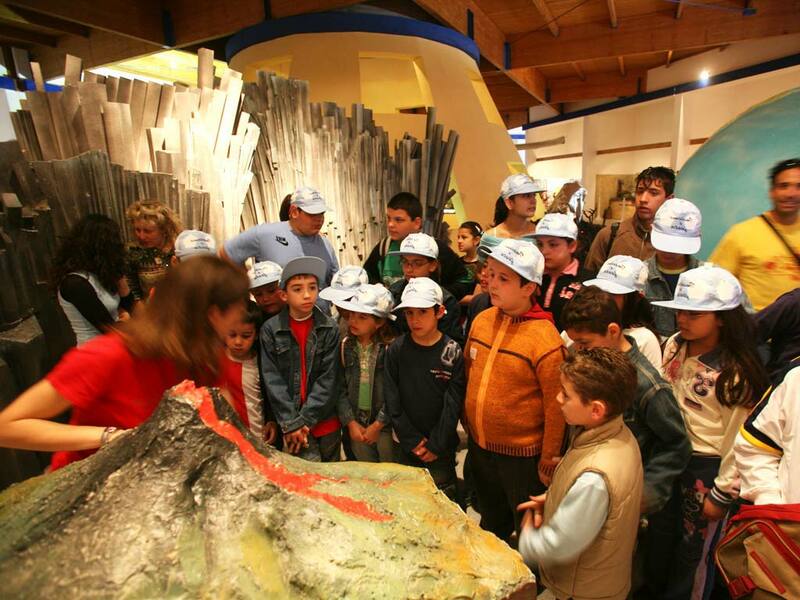 Etna Museum is also the largest museum on the volcanoes in Italy: divided into thematic sections, offers a modern and interactive view of general and Etna related volcanology. Among large-scale murals and dioramas, simulations of lava flows, caves and three-dimensional models of flow, the visitors will come into contact with the spectacular scenery of Etna environments. The Museum also offers an suitable for children entertainment with a thematic area dedicated to the world of dinosaurs, a funny movie in 3D and creative-teaching laboratories. In the large central hall has exposed the original Angelo D’Arrigo’s hang glider with its movie and exhibition space dedicated to the exploits of the legendary naturalist aviator. The hotel guests will have a 10% discount on the Etna Museum ticket! The Hotel Corsaro registered guests will obtain their “Hotel Corsaro Special Guests” card at the check in.